A variety of choices will be provided to meet the different needs of the community: single family homes, townhouses, and multi-family apartments. By providing different levels of help from Patio Homes, Assisted Living to Extended Care Homes seniors can stay in the same neighbourhood while growing older and getting the assistance they need. 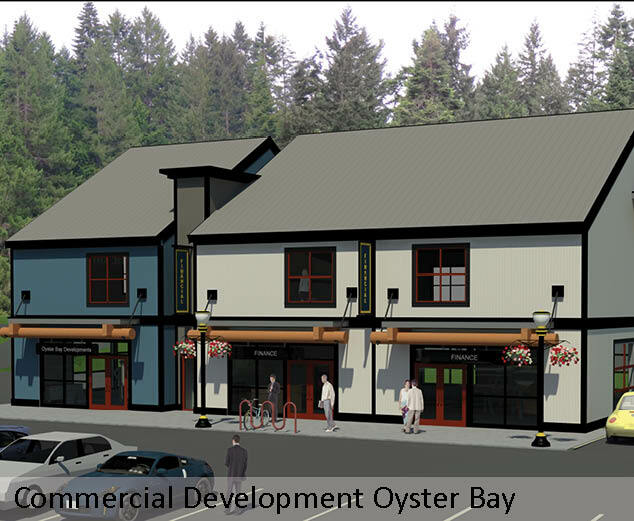 The site for the 80-unit hotel is located on the natural peninsula of Oyster offering stunning views on Ladysmith Harbour. Each sector has been selected as a viable inclusion to the Oyster Bay community.